Abstract: This article reconsiders a well-known narrative source from the beginning of the thirteenth century, Jocelin of Brakelond’s Chronicle. Much of the value of this text has traditionally been seen in its intimate portrayal of Abbot Samson of Bury St Edmunds (1182–1211). 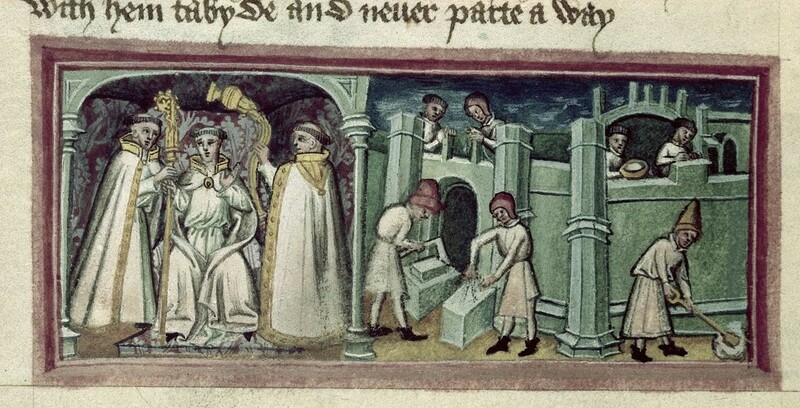 Jocelin’s account can be understood less as a depiction of Samson’s life and character than of the workings of his power within the monastery and within broader East Anglian society, as seen in his management of opposition to his rule through the use of documentation and his access to the royal court. This suggests a different understanding of the position of the abbot of Bury in which he is depicted less as a great lord and more as a pragmatic and inventive politician. Introduction: By the Angevin period, the abbey of Bury St Edmunds was one of the premier Benedictine houses of the British Isles. The cult of its famous patron, Edmund of East Anglia (d. 870), and the extensive generosity of the late Anglo-Saxon kings had made it into one of the two great ecclesiastical powers of the region, the other being the bishopric of Ely. Between 1182 and 1211, Bury was ruled by Samson of Tottington, a man of obscure background, possibly from minor nobility. His abbacy has left behind a number of acta, but, unlike most of his contemporaries, he is also a major figure in a narrative account by one of his own monks, Jocelin of Brakelond. It has generally been understood as a peculiarly intimate portrait of the abbot in the context of lay and ecclesiastical society, portraying Samson’s remarkable personality and the strength of his office. Despite its considerable importance, however, its composition has been subject to little detailed consideration. Closer scrutiny of the interests and preoccupations of the author suggests a different reading, in which the ‘vivid portrait’ recedes, allowing a clearer view to emerge of the workings of the abbot’s power both within and outside the abbey walls. The argument of this paper falls into two parts: the first explores the limitations of the Chronicle as a source for understanding the character of its subject; the second examines some of the opportunities it presents for understanding Samson’s politics.